Decorate their big boy bed with Lightning McQueen and they'll be racing to bed! This ultra-soft blanket is the perfect size for a toddler. It will easily fit a toddler bed and can be used as a throw or an extra layer on a twin size bed. It’s also super cozy to cuddle up with and watch a movie. 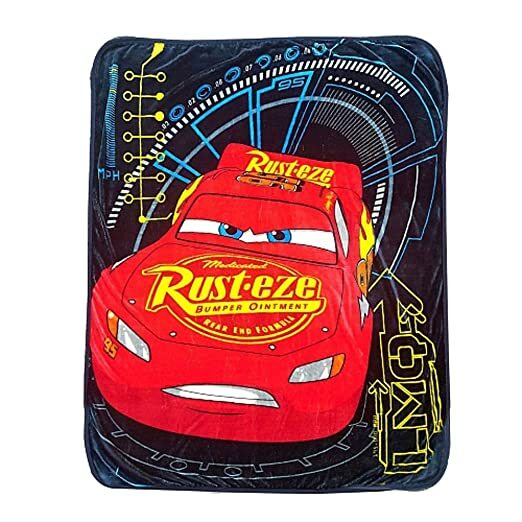 You'll love how soft it is, and your little one will love the fun Cars design!